These Christmas school holidays Brisbane will come alive with plenty of great activities for children and families to enjoy. We have gathered a selection of some of the best child friendly events around town this December and January. Christmas in the Air takes place on Sunday December 8 at 5pm in the Roma St Parklands Amphitheatre. The Brisbane Symphonic Band will provide free festive carol fun in the park with singers and dancers from the Youth Performing Arts Company. For more information visit the Brisbane City Council website. Festive Frivolity takes part on Tuesday December 10 from 11am at Corinda Library. There will be traditional carols performed by the renowned Imogen Singers with Christmas themed morning tea. For more information visit the Corinda Library website. The Myer Christmas Parade and Pantomime is a classic with the City and Queensland Ballet partnering to bring you the timeless Christmas tale of The Nutcracker. With over 200 talented performers involved it is sure to be a spectacle. The parade starts at the Edward street end of the Queen St Mall and travels through the mall to King George Square where an all-singing all-dancing Pantomime will be staged. The Parade and Pantomime are performed every evening at 6:30pm from Friday December 13 to Sunday December 22. Don’t forget to check out the Myer Christmas Windows displayed until January 5. For more information see the BNE city website. The Brisbane City Temple Salvation Army Band will entertain the crowds lingering in King George Square from the opening performance of the Myer Christmas Parade and Pantomime with their special yuletide brass. Make sure you are in King George Square on December 13 from 7:30pm. This will time perfectly with the opening of the Gold Lotto City Hall Light Spectacular. For the first time Brisbane’s City Hall will be the canvas for a magnificent light show, filled with all the magic and beauty of Christmas. This free event will be held every evening from 7:30-9:30pm starting Friday December 13 right until Christmas Eve. For more information see the BNE City website. The South Bank precinct will come alight with their Bright Star Christmas event. Located on the shores of River Quay, the free festivities will include twelve nights of Christmas lights, movies, carols and gourmet food running from Friday December 13 until Tuesday December 24. The star attraction will be live performances from The Voice of Australia 2013 finalists Harrison Craig and Luke Kennedy. Check out the South Bank website for all the details. On Saturday December 14 the annual IGA Lord Mayors Christmas Carols are held at Riverstage in Gardens Point CBD. The free family event runs from 5:30-9:00pm and showcases artists who will please everyone. Gates open at 5pm so arrive early to avoid disappointment. For more information see their website. Come down to the Brunswick Street Mall on Fridays in December and pick up a unique Christmas gift at the Valley Christmas Markets. Held every Friday from 12:00-8:00pm in the Chinatown Mall and Brunswick Street malls in Fortitude Valley. For more information see the Brisbane City Council website. Stuck for present ideas? The Brisstyle Indie Twilight Markets feature over 80 local artisans and live jazz bands to make a festive shopping experience. Held just prior to the opening performance of the Myer Christmas Parade and Pantomime on Friday December 13 in King George Square from 4-6pm. For more information see the BrisStyle website. Love Your Local Markets Hawthorne have started a new twilight market as an alternative in the hotter summer months. Running from 3:00-7:30pm on Fridays leading up to Christmas, the markets will have lots of great local stalls, live music and chill out zones for people to relax in the shade. You can even bring your dog along, or enjoy a picnic dinner. For more details see the Love Your Local website. Enjoy the glittering Christmas lights of our city through a Brisbane City Council Bus Tour! You will visit some of the spectacular households entered in the annual 4KQ Christmas Lights competition. Held every evening from Monday December 16 through to Friday December 20 tickets must be pre-purchased through Ticketek see www.ticketek.com.au or phone 132 849 to book. The buses depart every evening at 6:45pm from the following stops: Ann Street CBD, Carindale Shopping Centre, Garden City Shopping Centre, Indooroopilly Shopping Centre and Chermside Shopping Centre. Tours are approximately 3 hours in duration with refreshment stops included. For more information see the 4KQ website. If you would prefer to check out the Christmas lights from your own car stay tuned for the release of the entries which will be made available on Thursday December 5 on the 4KQ website and also as a lift out in the Courier Mail that day. The lights will be switched on between 7:00-10:00pm every evening from December 5 until Christmas Eve. The Workshop Railway Museum at Ipswich are holding a special Christmas affair on the 7th and 8th of December. Santa and the Ran Tan Bush Band will be there for a great weekend of festive fun. There will be Aussie Christmas carols sing-a-long, Christmas decoration arts and crafts, as well as sports activities. This is on top of the usual rides on the miniature trains, train driving simulator, tours of the workshop and the huge model train. Visit their website to find out booking information. For an additional fee you can also ride on the special Christmas Express Steam Train which travels return from the workshop out to Granchester. Get in early though the steam train is very popular! For more information see their website. There are so many different crafty events at Brisbane City Council Libraries throughout December. Activities include making your own Christmas cards, gift bags, decorations, ornaments, stained glass and photo frames. There are also many Christmas story-time sessions, carols and even magic shows presented as part of the Summer Reading Program. Look out for the very special Christmas Eve readings of the classic T’was the night before Christmas at your local library which is also accompanied by carol singing and morning tea to get the entire family into the festive spirit. All events are free, though bookings are essential so visit the Brisbane City Council library website to find out more details. 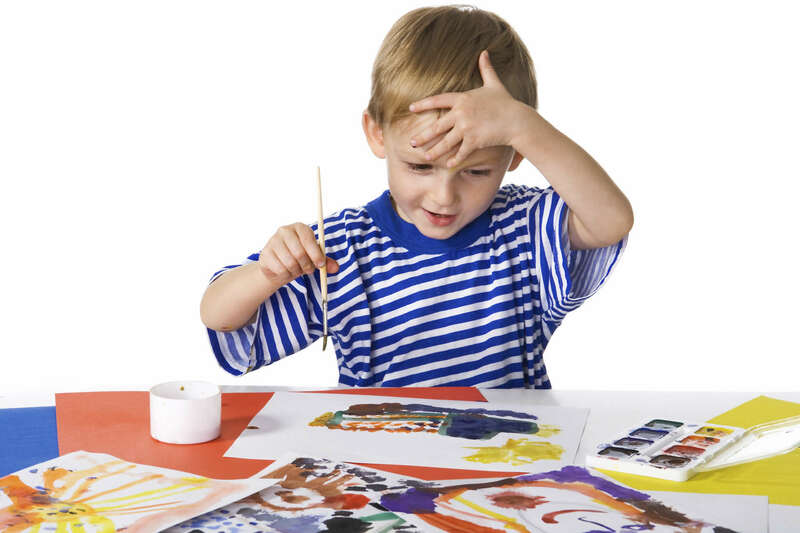 The Gallery of Modern Art has three events specifically for children this summer: Cai Guo-Quiang Kids: Let’s create an exhibition with a boy named Cai, Gordon Hookey Kangaroo Crew and Michael Parekowhai drawing activity. There is also the spectacular exhibition by Kathy Temin called My monument: White Forest. Although not designed specifically for children this exhibition features giant fluffy white cartoon-like trees, evoking imagery from Dr Seuss’ The Lorax. For more information on these events see the GOMA website. There are always so many fun activities and exhibitions at the Queensland Museum South Bank and the Science Centre. These holidays that includes Light Show, Hidden Treasures Family Trail, Night Fall, Behind the Scene I Spy Tours and It’s Atomic, as well as the usual Playasaurus Place, Science Fiction: Science Future, Action Stations and Body Zones. For more information on what's on as well as entry prices see the Queensland Museum South Bank or the Science Centre websites or phone 3840 7555. Brisbane City Council offers many recreational and educational activities for children over the school holiday period in December and January. They are held at bushland and wetland locations around Brisbane such as Downfall Creek Bushland Centre, Boondall Wetlands Environment Centre or Nudgee Beach. These events are usually free, or at a very low cost. Each event focuses on certain species or ecosystem of the environment. For more information visit their website. Throughout January Brisbane City Council Libraries have heaps of activities scheduled to keep children busy. Movies, science education and gardening activities are on offer as well as the regular story-times and arts and crafts. Visit your local library to find out more about events in your area or visit the website. The Brisbane Institute of Art will offer over January two day courses from January 6, 8, 13 and 15 for children looking to further their artistic skills. The workshops aim to nurture the artistic development of children and provide an enriching experience that will give children confidence to explore. It includes a wide range of different activities and runs over two days from 9:30am-2:00pm. Bookings close December 20, phone 3857 5377 for more information or visit the Brisbane Institute of Art’s website. Cost is $150 for the two days.